Three key moments, all of them sensual, define Ana's life. Her carnal search sways between reality and colored fantasies becoming more and more oppressive. A black laced hand prevents her from screaming. The wind lifts her dress and caresses her thighs. A razor blade brushes her skin, where will this chaotic and carnivorous journey leave her? 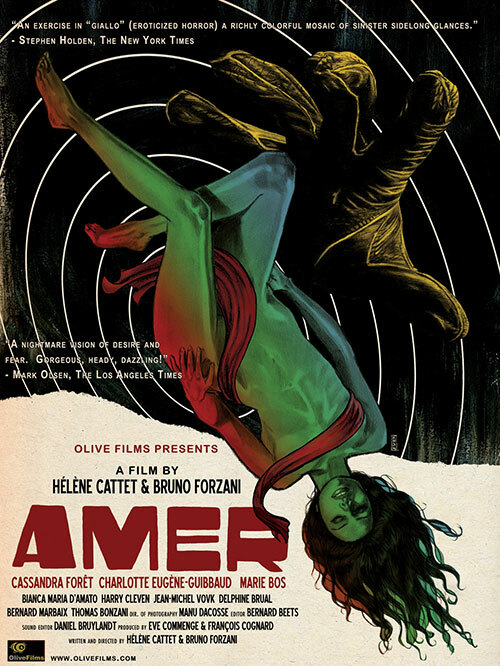 0 Response to "Amer (2009) Hélène Cattet & Bruno Forzani"